Before summer ended, I got one of my wishes granted - which was to have a new look by changing my hair color. 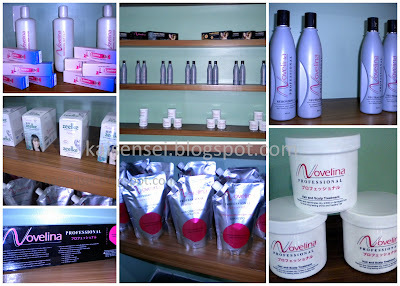 I received an invite to have a HAIR MAKEOVER by Tritan Ventures that distributes Novelina Hair Colors. Novelina Cosmetics Co. was formerly known Yamahatsu Sangyo K.K. of Osaka Japan and was acquired by Tritan Ventures from its parent companies Schwarzkopf & Henkel KK. It is also being marketed in countries such as Vietnam, Thailand, Japan, China, USA as well as the Middle East. 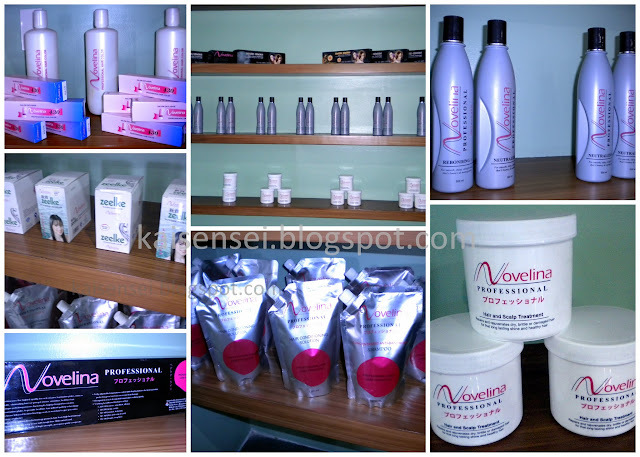 This intrigued me enough to go visit them indeed and try out this Novelina Professional Hair Color that produces high end results at an affordable price! This is my previous hair color. My real hair is very dark brown. Last March I had it dyed Burgundy. But I wanted a new look so I asked Ms. Jas, the in-house Hair Stylist of Novelina to help me choose what color would help improve my hair color. I wanted it to be "obvious" that I had dyed my hair. So she recommended Novelina's Cream Hair Color "ZEELKE" in Brown. Novelina Zeelke Cream Hair Color is the brand of cream hair color of Novelina Cosmetics Co. Ltd. It uses the technologies and formulation originally developed and improved upon by Yamahatsu Sangyo K.K., of Osaka, Japan, one of Japan's oldest and most prestigious hair colorants manufacturers with over 75 years experience in the industry. My photo of the color chart. It does somewhat look different from the chart above. 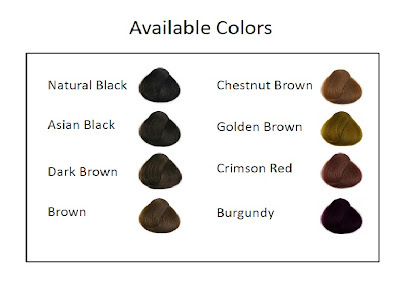 Since the resulting hair color produced on my hair looks more like the one above, I would advise you to check out this chart as well before choosing final color. Miss Jas explained that even though we choose a particular color to dye our hair, the effect is not always the same for everyone. It depends on the texture of your hair (kung makapit ba ang color or not) and also the color your hair was before you had it dyed. Zeelke is a DIY hair colorant so I think that's a fair enough warning for those who would be trying it out for themselves. The color chart above doesn't do justice to the actual hair color effect it will have on you. With the help of Miss Jas, we decided to try out Brown. 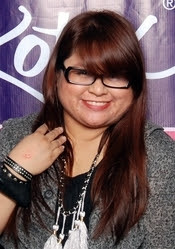 Remember that my hair color at that time was Burgundy. So check out later what effect Zeelke Brown had on my hair! A box of Novelina's Zeelke Cream Hair Color has everything you need for your DIY hair color project! Don't forget to carefully read the instructions! No worries - Novelina is US FDA approved! Each box also had picture instructions and written instructions that will help guide anyone who would like to apply hair color to themselves. Personally, I prefer a friend to help me out here. But Ms Jas said that she applies the hair color on herself and its easy peasy! Mixing the hair color is easy! First, squeeze the contents of the tube of cream colorant in the 60 ml bottle of developer. Next, put on the gloves provided. Then shake shake shake the bottle until the color has been evenly mixed in the bottle. Miss Jas tapped the bottom of the bottle while pointing it downwards so that the mixture will distribute properly. And there you have it! Color is now ready to be applied! Since Miss Jas, a Senior Stylist, will be applying it to me herself, she didn't use the ear covers any more (awww.. and I wanted to try it out myself. LOL!). So if you are going to color your hair yourself, don't forget to wear an apron so that the color won't get on your clothes. Make sure you also have a lot of big hair clips handy coz you need to partition your hair so that the color will be evenly distributed in your hair. Ms Jas started at the back and the lower part of my hair. She advised to NOT put any hair color yet on the roots coz if you start with that, the hair color won't be even. Miss Jas, being a professional, did not use the brush anymore and just used her hands and fingers. She said that using just one's hands in applying the hair color will be more effective coz most of the color will go directly to the hair instead of the brush. But then again, its a technique that professionals use coz if you use this method, you also have to learn and gauge the amount of hair color to apply on each batch of strands so that the color will be evenly distributed. After rinsing, Ms. Jas put some of their Novelina Hair and Scalp Treatment to make my Hair "Zeelke" smooth! :) And after blow drying my hair, I finally was able to see the end result. Yay I love my new hair! Its not too light nor too dark but vibrant and definitely noticeable. Ms Jas said that as time goes by, the color on one's hair will really stand out and become more pronounced. The effect of the BROWN dye on my hair is kinda like Chestnut Brown (no. 5) on the chart! So I was really pleased when Miss Wella Tan of Tritan Ventures let me take home another Zeelke box in Chestnut brown once my hair grows out the color again. THANK YOU SO MUCH Miss Tan and Tritan Ventures for inviting me over! Thank you also to Miss Jas for doing an awesome job on my hair! I love her hair color! She's using Zeelke Golden Brown. So Coffeeholics, if you plan to dye your hair by yourself - you must definitely try out Novelina's Professional Hair Color - ZEELKE! Wanna try it out for yourself? Then don't forget to drop by these sale bazaars where Novelina will be on display. To learn more about Novelina and be updated by their promos, do visit their Facebook and website for more details. This is a very useful website and I have found good information here and I really appreciate the efforts of the blogger..